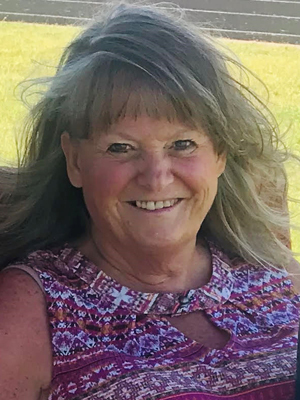 Cindy Bartholomay, age 66 of Prior Lake, MN, formerly of Casselton, ND, passed away peacefully while surrounded by family on Tues. April 2, 2019 after a brief, but courageous battle with cancer. A time of gathering will be held Sat., April 6, 2019 from 2-4 PM with closing prayers at Ballard-Sunder Funeral Home, Prior Lake. Cindy was born on December 5, 1952 in St. Cloud, MN to parents Carroll and Virginia Anderson. Growing up on the family farm outside Rollag, MN, Cindy quickly grew to love the outdoors! Regardless of the season, Cindy and her sister, Sandy, could be found outside. They would fish and trap with their dad, go cross country skiing, and spent countless hours in Detroit Lakes. Cindy’s deep appreciation of nature continued throughout her life. In her opinion, nothing is better than the smell of freshly plowed dirt. Cindy attended school in Barnesville where she played cornet in the band and was a cheerleader. Following her high school graduation, she continued her education at Moorhead Tech. Cindy spent most of her career in administration and sales for various companies in the Fargo area. Cindy married her high school sweetheart, Greg Bang, and began a family. While they eventually parted ways, Cindy’s life was enriched when she met Steve Bartholomay. They continually crossed paths, either at work or social functions, but they didn’t formally begin dating for some time. On their first date, they saw the movie Paint Your Wagon, and it was another six months before they’d go out again. After life’s many curveballs, they exchanged wedding vows on June 27, 1997 in Fargo, ND. They settled in Casselton before moving to Prior Lake in 2015 to be closer to family. The most important part of Cindy’s life was her family—she was an amazing wife, mother, grandmother, and sister. If you called, Cindy immediately answered regardless if she was at home or a concert. She always put her family first. Anytime Cindy visited her sister, she’d have a small gift ready to give. Cindy especially loved being a grandma! She greatly anticipated the birth of her newest grandchild. With an infectious laugh and personality, Cindy made friends wherever she went. A trip to the grocery store was never quick! Not only did she peruse every aisle, Cindy would stop and chat with everyone. In her free time, she enjoyed bowling, softball, and reading. Cindy loved the simple things in life—her family & friends, her pets, and spending time in nature. She was truly kind, loving and generous. Cindy will be missed by her husband, Steve; daughters, Stephanie Walgrave, Bobbi (Mike) Rau, Alysia Bang, Britany (Eddie) Van Pelt; grandchildren, Taynian, Emma, Alex, and another on the way; sister, Sandy (Doug Wilson) Anderson; lifelong friend, Cindee Ness; her four-legged friend, Tucker the Labradoodle; many other relatives and friends. Cindy is preceded in death by her parents, Carrol and Virginia “Babe” Orpha Anderson. Arrangements with Ballard-Sunder Funeral Home, Prior Lake Chapel. Wayne and I want the family to know how very sad we are for your loss. Wayne has some fond memories of your Mother when she was little. i pray the God of all comfort will comfort you all with precious memories. I am with you all in spirit as you say goodbye to dear Cindy..I remember so many good times together at the Hagen farm. Those memories will live in my heart forever know that you are loved today! Although we were not blessed to have met or known Cindy, if her daughter Stephanie and granddaughter Taynian are but a reflection to the Life of Cindy…..she lived a full , rich and rewarding life. May the Dear Lord surround the entire family and keep each in the palm of His hand as you walk this new journey. We pray for Peace and Comfort to be bestowed upon you as your hearts heal. Love and God Bless. Cindy and I also met while working at Tharaldson’s In Fargo. She was a very precious friend to me. The sparkle in her eyes and the sheer joy within her were obvious to all that ever spoke with her. I will miss her very much. My deepest sympathy to all of her family. My thoughts and loving prayers are with you in your time of sorrow. I am so grateful that my son Kurtis, was able to attend and express our heart felt love. Even tho I know it was hard on him, Cindy would know we were there with you all. May God comfort you and please remember “Love NEVER dies”!! !